If you need to complete a steering and suspension job, an AC job, or other repairs, it’s far simpler and less expensive to go to AutoZone Tool Rental and get the tools you need. AutoZone’s Loan-A-Tool service is easy-to-use and budget-friendly. There is a wide variety of tools available, that you can conveniently browse in the Loan-A-Tool categories on the AutoZone website. As with all rental services, AutoZone Tool Rental have their types of tools available split into 10 categories: air conditioning, cooling system, diagnostic tools, engine and external engine tools, exhaust tools, fuel pump removal tools, pullers, steering and suspension tools, tubing and flaring tools, and other tools. Thus, your visit to AutoZone should cover everything. Imagine a hot summer day. Like, really, really hot. Your A/C unit breaks down. At AutoZone Air Conditioning loaner/rental tools, they’ve got clutch holding tools, clutch hub installer, remover, clutch kit, clutch plate remover, clutch puller jaws, pulley puller, shoe tools, A/C flush kits, expansion valve tube removers, and office tube tools that you can rent. Radiators and fans. If these two types of devices ever break down, now you know where you can get the tools to bring them back to life. At AutoZone Cooling System loaner/rental tools you can rent fan clutch wrenches, heater hose disconnect tools, pressure tester adapters, radiator filter neck adapters, and water pump sockets. From AutoZone Diagnostic loaner/rental tools, you can rent block testers, fuel pump diagnostic kits, as well as ultraviolet leak checking kits. This is to make sure that your stuff never gets broken. If your engine broke down, you don’t have to worry about finding the right tools for the job. Just go to your local AutoZone Rental center and say what model of care you have, and they’ll fix you right up. Serpentine belt tools, harmonic balancer installers, valve spring compressors, camshaft synchronizer alignment tools, engine cylinder hones, harmonic balancer installers, hydraulic valve lift tools and compression test gauges – these are just a few of the most popular tools they’ve got for rent. At AutoZone exhaust loaner/rental tools, you can find all sorts of tailpipe cutters, tailpipe expanders, as well as help for your vehicle from an extensive library of videos on how to change your oil, how to change your cabin air filter, how to change your air filter, and more. Need to replace the fuel pipe? Don’t worry. AutoZone has got fuel line disconnect tools suited for every car, as well as fuel pump replacement kits perfect for reinstalling a fuel pipe. Do you need to pull stuff? AutoZone pullers loaner/rental tools category includes spindle pullers, jaw attachment pullers, slide hammers, slide hammer flanges, and timing gear pullers. At AutoZone, the company really puts a lot of effort into pointing you in the right direction. That’s why they’ve got the best tools for you to repair your steering and suspension. You can rent ball joint pressers, separators, strut spring and coil spring compressors, 4WD spindle sockets, axle bearing remover sets, axle flange pullers, axle/spindle nut sockets, coil spring compressors, FWD axle puller adapters, pitman arm pullers, pitman arm separators, tie rod end separators as well as other cool and useful stuff. AutoZone even has tube benders and flaring tools for when you need to bend tubes and pipes. Ah, we’ve finally made it to the miscellaneous section. Were you looking for wrenches, bearing splitters, breaker bars, loaner torque wrenches, oxygen sensor sockets? Well, here’s where you will find them. Along with other stuff deserving to be under this category. So, as you can see Autozone has a wide variety of tool rentals, from air tools and accessories to clamps and measuring tools, from creepers and carts to engine and vehicle lifts and work equipment. Either visit autozone.com or go to your nearest AutoZone store. Select a category. Pick what you want to rent from the tool categories we’ve mentioned above. Pick a tool. Find whatever tool you need for your job. If you’re in the store, ask the personnel there for advice. Enter your ZIP code. If you’re on the web, you can enter your ZIP code next to the tool you want to rent. The price. Now, AutoZone doesn’t just rent tools. They make you deposit a sum that is really close to the actual price of the product. When you return the product, the money comes back to you. As you would figure, this has good sides and bad sides. We can’t tell you the exact price for the area you would like to rent tools in. However, what we can say, is a few price estimates for the home area of AutoZone – downtown Memphis. An OEM/3/8 inch torque wrench can be rented for the price of $50. However, remember that you get your money back once you’re finished with the tool. A torque screwdriver, on the other hand, can go for up to $79.99. The same renting policies apply for all of their items – such as a compression tester gauge. One of these can be rented for the small sum of $40. Money which you get back. So you’re essentially loaning stuff for free! That’s what the positive reviews from down here are all saying. 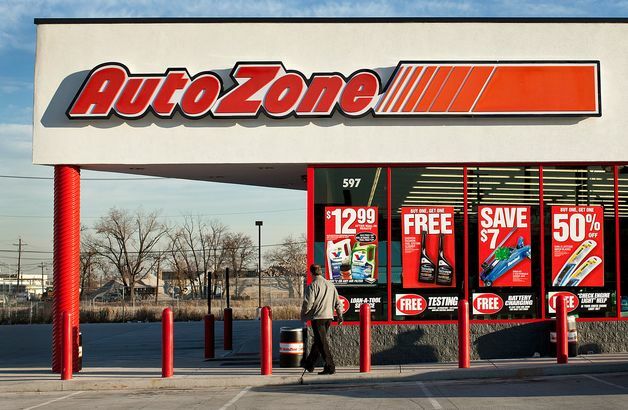 If you want to return a product to your nearest AutoZone store, you just need to take the receipt and the product in its original packaging to the store. AutoZone will reimburse you the amount according to the receipt. Note though that not all products are eligible for returns. All returns are subject to the AutoZone return policy, that you can check out online, on their website. How does the AutoZone Tool Rental service work? First, you select your tools, then you make a deposit of a certain sum of money depending on your area. After you’re done with the tools, you get your money back. How big is the deposit? It usually depends on both the items you are renting as well as the area you are renting from. As long as you don’t break the tools, you should get your money back with minimal effort. So I’m essentially renting stuff for free? Yes! That’s the really cool thing about AutoZone Tool Rental. They actually want to help you get the job done for free. Does AutoZone offer warranty for rented products? Yes, AutoZone also offers a warranty of up to three months for their products. If they are giving you faulty equipment for rent, take it back to them. Eli T. from Los Angeles, California, says that AutoZone Tool Rentals are incredible in that they actually offer you tools for free. He mentions renting engine tools to check his car’s health and then going and doing so in the parking lot of the AutoZone. After 10 minutes, happy Eli comes back with the tools and gets a full refund of his deposit. Bert K. from Mountain View, California says that he didn’t see any reason to buy the tools he needed when he could rent them and then get a full refund. However, Bert also mentions that you may end up getting used motor oil instead of normal – and that’s not nice. AutoZone Rental is a convenient solution that gives you access to a wide variety of tools, parts and equipment for free! All you need to do is to browse their website, pick the tool you need, make a deposit, and then pick the item in your nearest AutoZone store. When you return the tool to the store, you will be refunded the price you paid. Have you ever used AutoZone Rental? Tell us how it worked for you in the comments form below. What happens if I lose the tool and it isn’t returned? You should contact directly the company at at (800) 288-6966 and ask them what is their policy in this regard. I can guarantee, and I don’t work for AutoZone, that since the tool is your responsibility after you “rent” it, if you lose it, then you don’t get your money back. I was working on my friends car today, used the oem spring compresor, the bottom claw crosstreaded and taking it out made it worse, what’s the policy on return for damaged tools? Just make up some excuse saying the tool is malfunctioning. They would never dare call you out about lying.